The Dodgers have won five straight NL West titles, but a slow start and the loss of Corey Seager have the Dodgers looking up in standings early. The data used for the majority of this post is prior to the Wednesday, 5/2 game. Currently the team is at 12-17, versus 15-14 last year at the same time, so they’re definitely a little off pace, and another 43-7 stretch can’t be expected. Corey Seager does pretty much everything well. He’s one of a handful of true stars in the league, and over his first full two seasons he’s averaged 6.5 fWAR per season. Since 2016, he’s fifth in total fWAR behind Mookie Betts, and three MVPs in Jose Altuve, Kris Bryant, and Mike Trout. That’s good. 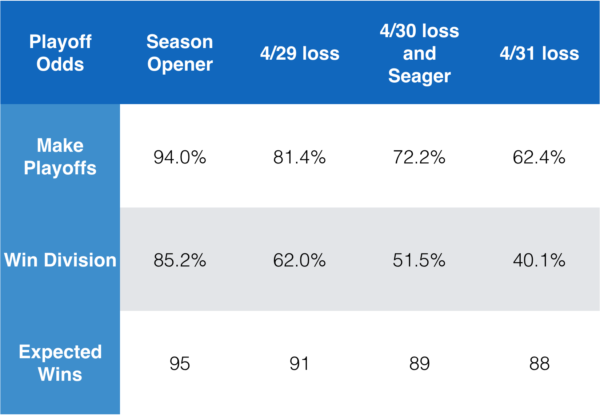 Dan Szymborski’s ZiPS projections had Seager producing 4.0 fWAR over the remainder of this season. No team can truly handle losing their best player, but the Dodgers roster construction makes them as well suited for it as possible. Last year, the Dodgers were second behind only the Astros in positional fWAR outside of their top three guys at 14.1 fWAR. The team doesn’t have another six-win shortstop just sitting on the bench, but with all their positional versatility and depth, the team is as well suited to handle this loss as a team can be. Enrique Hernandez, Chris Taylor, and Breyvic Valera all have logged numerous innings at shortstop over their minor and major league careers. Valera has played 1000 total innings at short, Hernandez has played 818, and Taylor has played the most with 3625 innings. The team definitely has quality in-house options to fill in at the spot for the time being. Chad and Alex both outlined some shortstops the Dodgers could reasonably be interested in, but the only real attainable guy that is an actual difference maker at that position is Manny Machado. It doesn’t make much sense for this team to trade for a middling shortstop who offers a marginal improvement. In fact, most of the potentially available guys aren’t likely to outproduce Hernandez in a full-time role anyways. But the value lost with Seager doesn’t necessarily have to come back at shortstop, as long as whoever the Dodgers add truly moves the needle. 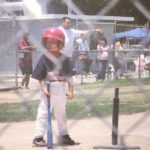 I think the Dodgers could actually look to provide a significant upgrade at another position like second base. Three guys the Dodgers could consider are DJ LeMahieu, Brian Dozier, and Jonathan Schoop. Each one would either be salary neutral, or a smaller hit against the luxury tax than Logan Forsythe. Obviously certain things have to happen to make these possible, like the Rockies and Twins being willing to sell, or Schoop actually playing well. I personally hope Forsythe comes back and makes this idea irrelevant, but his leash is definitely shorter now with the absence of Seager, and upgrading at second and moving Forsythe’s contract leaves room for additions to the rotation or bullpen. 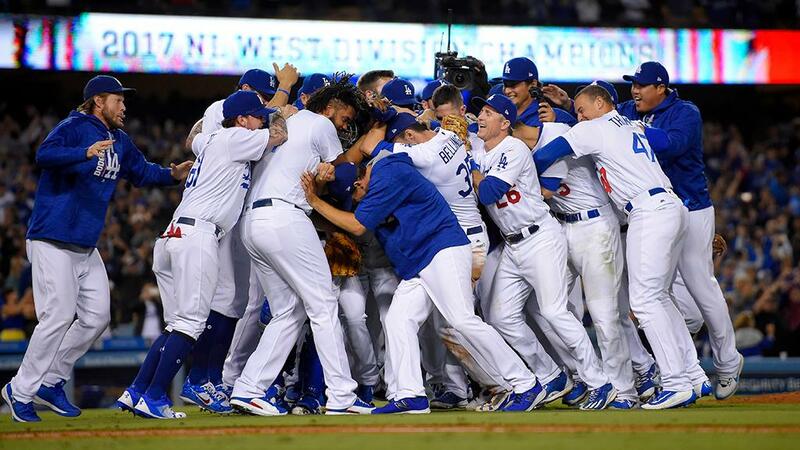 As I’m writing this, the Dodgers are nine games back in the NL West. If they split the remaining two games of this series with Arizona, it’ll stay at nine games, and if they get swept it’ll be an 11-game deficit. They’ve lost seven of eight against the Diamondbacks this year, and the last 13 of 14 against them dating back to last season. That is, if you don’t count the three playoff wins against them. Seriously though, stop losing to the Diamondbacks. The Dodgers play them twice more in this series, and then twice more next week. After that, the two teams don’t see each other until a series starting August 30. That’s … not so great. FanGraphs projections currently project the Dodgers finishing 88-74. After a 12-17 start that means going 76-57 (.571) over the next 133 games. For the first time this season, the Diamondbacks have higher odds to make the playoffs and to win the division. FanGraphs has them finishing at 89-73, which would be 68-65 (.511) for the remainder of the season. Herein lies the issue with being nine games back in early May. The Diamondbacks eventually will regress from their .724 winning percentage, and might be more like a .540 team overall. However, if they play to .540 for the remainder of the year they’ll finish 72-61 and 93-69 on the year. 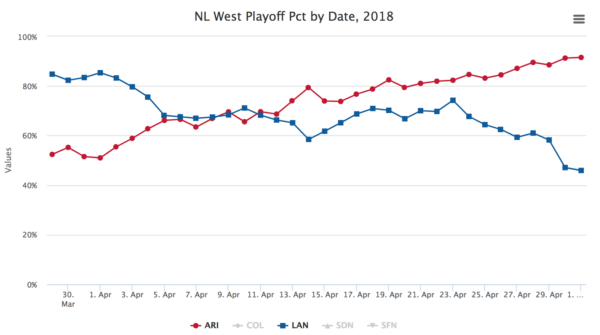 In order to catch Arizona at that point, the Dodgers would have to finish 82-51 (.617) to get to 94-68 which is a 100-win pace over a full year. Baseball Prospectus uses PECOTA projections for their playoff odds, and well … I don’t want to talk about this one. 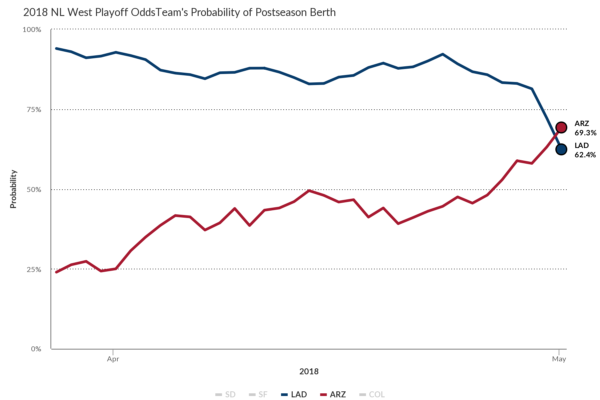 That’s Arizona with 91.5% odds to make the playoffs and 79% to win the division, and that’s the Dodgers with 46% odds to make the playoffs and 14.4% to win the division. However, things can change quickly with a run of strong performance. The 2013 Dodgers had a 7.4% chance to make the playoffs when they were 30-42, yet they finished at 92-70 and won the division by 11 games. That was with the famous 42-8 stretch, and while you can’t expect a performance like that, it’s certainly possible to get back in the division race quickly. Cut4 recently did a short piece on how often division leaders on May 1 actually win their respective division and found, “Over the last 20 seasons, there have been 120 division races. The team in first place on May 1 has been the eventual division champion in only 62 of those races.” So, roughly half the time. I’m hopeful (hope is bad) that this Dodgers team can find some resemblance of their 2017 selves and pull a strong season together.